A completely different outfit today! The difference between my previous outfit and this one couldn't be bigger! 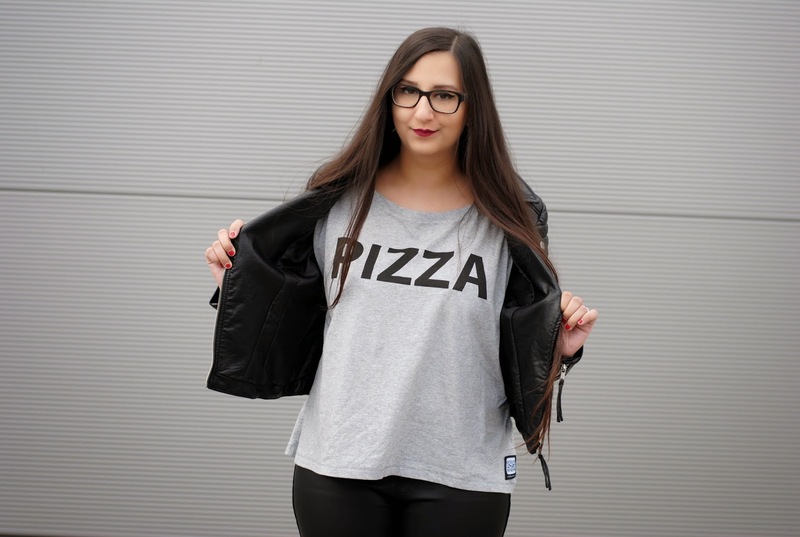 I found this pizza shirt at addmyberry, a Belgian label who makes all kinds of cool shirts and sweaters. As a pizzalover, pizza-adorer, I-want-pizza-everyday-person, I just had to have this one. The fit is boxy and I chose a size M for a loose fit, but I should have went for the S, because it's a bit tóo oversized. I covered it with the (faux) leather jacket, but you can see how big it is on the pictures where you can see the whole shirt. So if you want to order one, go for the S! 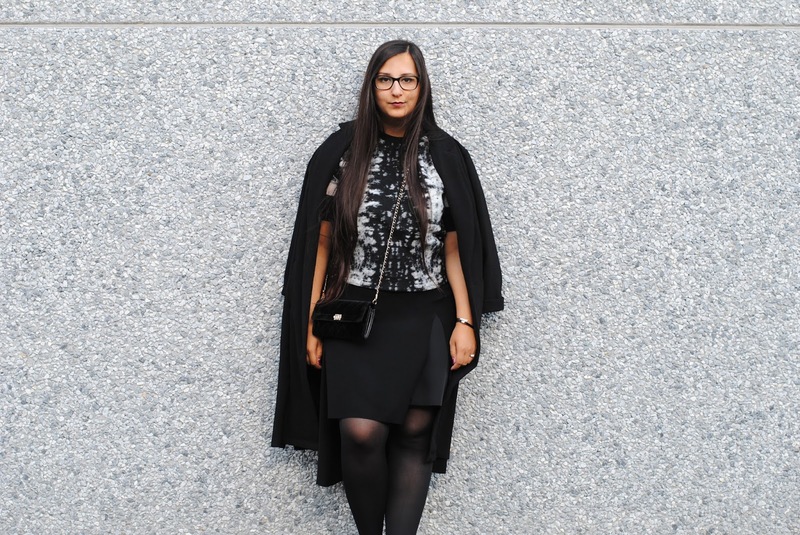 What do you think of this 'edgy' look? And do you like pizza as much as I do? Pizza pizza pizza this is my fav mantra!! Pizzaaaaa! 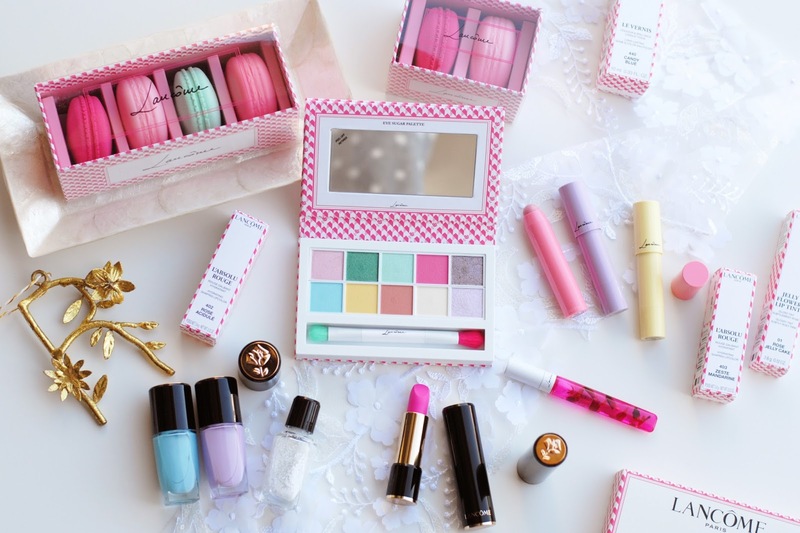 Super leuke look! Die sneakers zijn echt prachtig!!! Stunning! Gave sneakers zij maken het helemaal af. Those sneakers are very desireable! 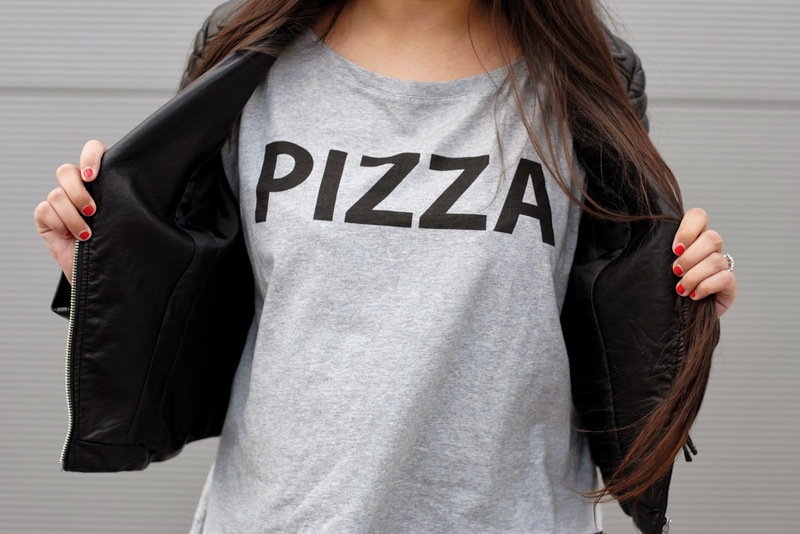 Hahahaha :D I NEED THAT SHIRT! 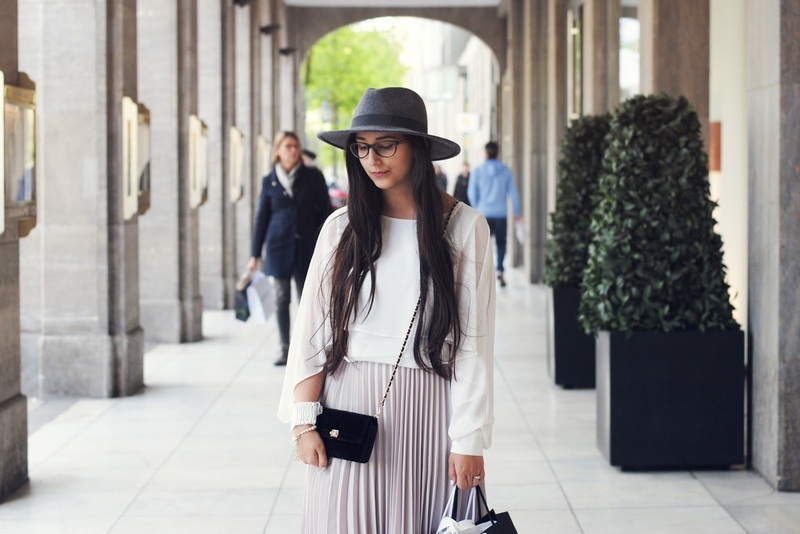 Super leuke styling!